A well-designed and placed residential greenhouse is not only elegant but functional too! No other greenhouse can match the style and grace of an original Lord & Burnham greenhouse. We manufacture a full product line of the highest quality standard and custom residential greenhouses as well as conservatories and barcaps. 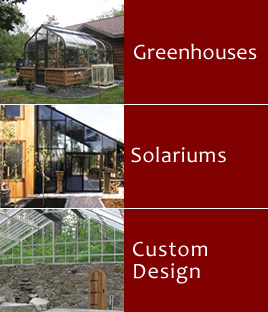 Our experts with close to 40 years of L&B experience in consulting, sales and installation will guide you in the design of your new greenhouse. Replacement glass and parts can also be ordered directly from us. Lord & Burnham straight or curved barcaps available direct from the source. Lord & Burnham Greenhouses have been a staple in American gardening since 1849. Their distinguished quality and unique designs have pioneered greenhouse manufacturing for over 160 years. Today, you can own the original Lord & Burnham greenhouse designs with the advantage of modern heating, cooling and energy efficiencies. The greenhouse is a regular indoor garden – a garden with many times the possibilities and pleasures of the outside one. Not a stuffy uninviting hot-house, but a glass enclosed garden plot. A garden from which you can have a choice of flowers, fruits and vegetables in season and out of season, all year around.